A historic Asiad silver added to her path-breaking career collection, ace Indian shuttler P.V. Sindhu would be desperate to break the final jinx that has plagued her for a while when she competes at the Japan Open starting Tuesday. 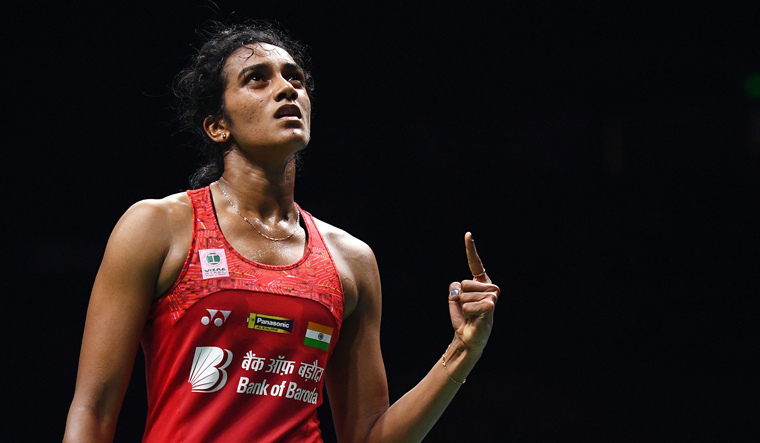 Sindhu has been outstanding this season with silver medals in all the major events this year―the Commonwealth Games, the World Championship and the Asian Games. They are all medals to be cherished but a hectic schedule leaves her with very little time to stay in the moment. The third-seeded 23-year-old begins her campaign against Japan's Sayaka Takahashi. Among the men, Kidambi Srikanth and H.S. Prannoy will look to get over the disappointing campaigns in the World championship and the Asian Games and go deep into the draw. Srikanth, a former world no.1 whose best finish this season has been a semifinal appearance at the Malaysia Open, will face China's Huang Yuxiang. Prannoy will take on Jonathan Christie, the Indonesian who earned his country a maiden Asian Games gold in August. Sameer Verma, who clinched the Hyderabad Open Super 100 tournament on Sunday, will look to continue his good run when he faces Korea's Lee Dong Keun. However, B. Sai Praneeth, who won the Singapore Open last year, withdrew from the tournament. The reasons for his pullout are not known. In men's doubles, Commonwealth Games silver-medallists Satwiksairaj Rankireddy and Chirag Shetty, who also won at Hyderabad, will square off against third seeded Japanese Takeshi Kamura and Keigo Sonoda. Manu Attri and B. Sumeeth Reddy will meet Malaysia's Goh V Shem and Tan Wee Kiong. Commonwealth Games bronze-medallists Ashwini Ponnappa and N. Sikki Reddy will fight it out with Korean combination of Chang Ye Na and Jung Kyung Eun in women's doubles.